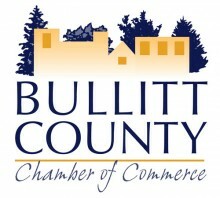 The Bullitt County Chamber of Commerce is located in Shepherdsville, Ky, and serves more than 342 members. Bullitt County is the proud home of Members including Jim Beam, Kentucky Eye Care, Park Community Credit Union, WesBanco, First Harrison Bank and Fort Knox Federal Credit Union. 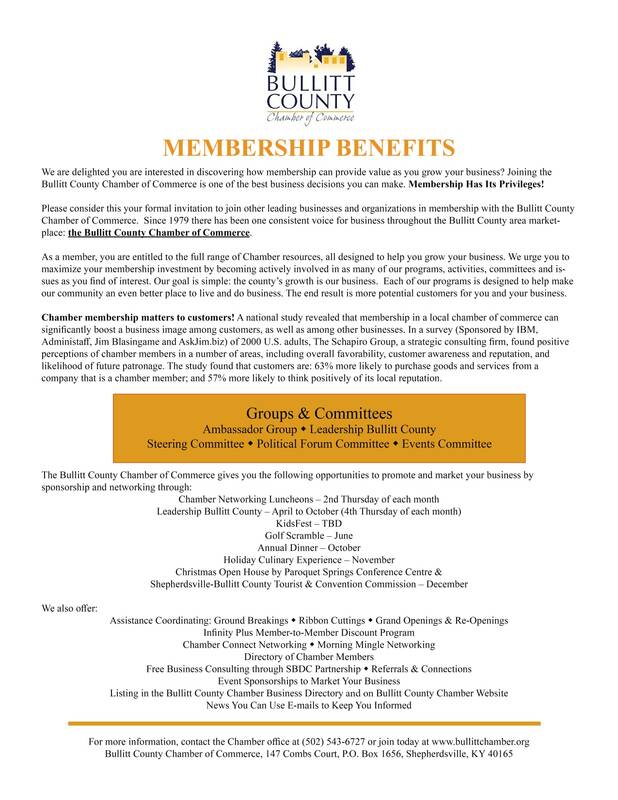 The Chamber offers community connections to businesses, schools and government, in turn building better business.